In researching and writing LEE MARVIN POINT BLANK, choosing the final images that would accompany the text proved to be an embarrassment of riches. However, due to both space and rights restrictions, not all the images were able to make the final cut. Periodically, those images will be seen here and for whatever reason, often make their own themes. Below are three such examples. 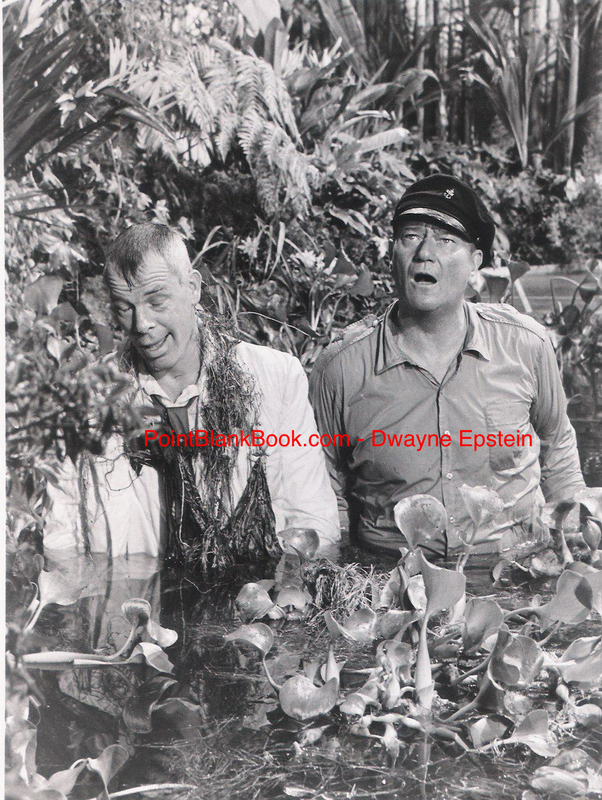 First, a still from the climatic opening fight scene from John Ford’s Donovan’s Reef (1962) with John Wayne in the scenic Hawaiian Islands. The film started out to be the fun-loving romp Ford had intended for all concerned, but Marvin’s excessive partying took a much darker turn (Lee Marvin Point Blank). Lee Marvin and Duke Wayne heed Jack Warden’s advice to stand at attention in the midst of their annual brawl. 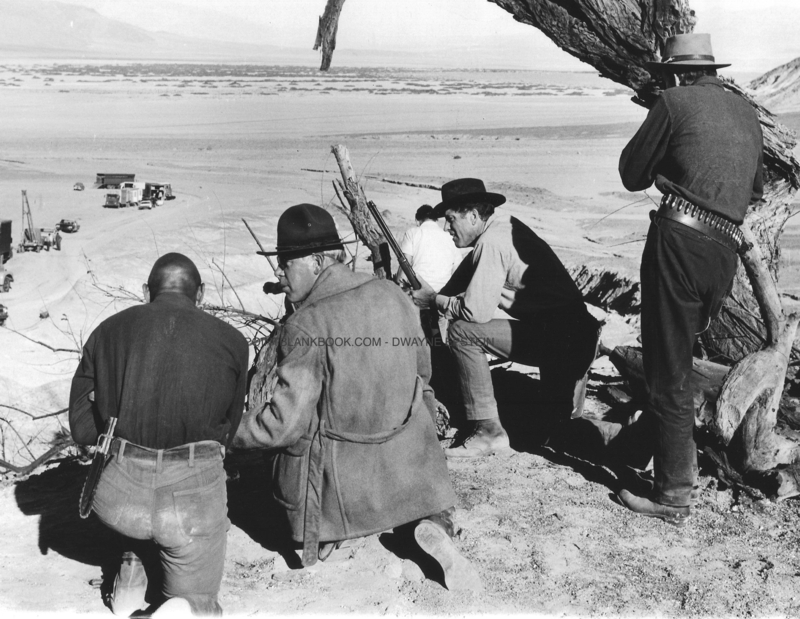 Next, there’s an image from writer-director Richard Brooks’ The Professionals (1966) showing the four leads, Woody Strode, Lee, Burt Lancaster, and Robert Ryan with their backs to the camera preparing to shoot the next scene. During the film’s down time in the Nevada desert, Marvin and Strode, along with stuntman Tony Epper, wreaked such havoc in the Vegas casinos that it rivaled the fabled Rat Pack. 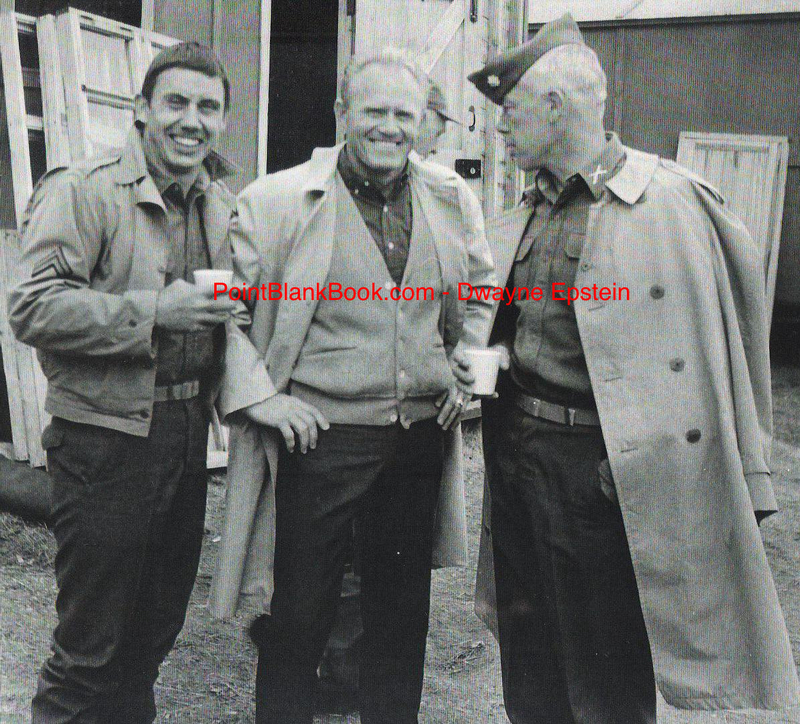 Marvin is shown here easily talking Strode into doing just that as an uninvited Lancaster curiously looks on.